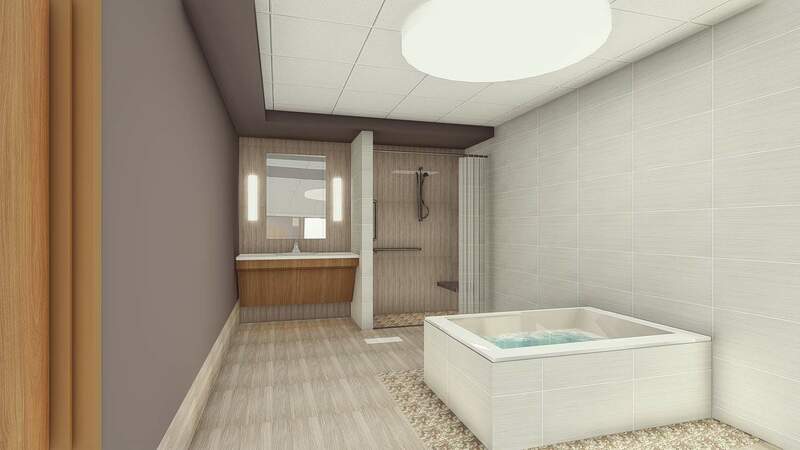 Click to see an animated video of Tomah Memorial Hospital’s replacement Health and Wellness Campus. 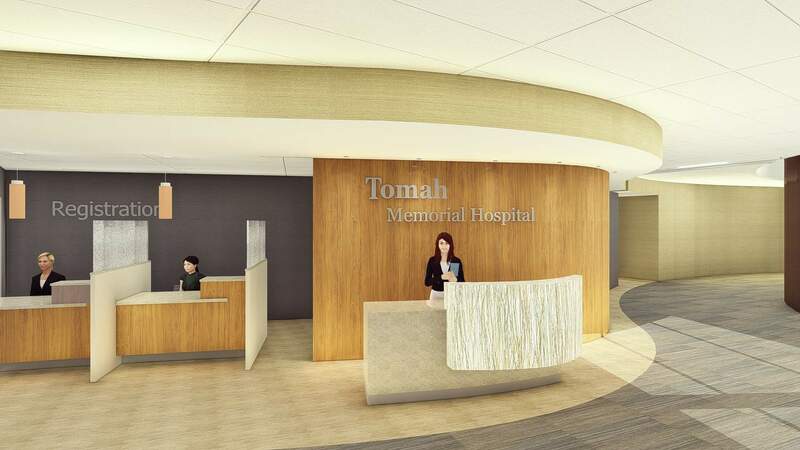 Tomah Memorial Hospital’s (TMH) existing 1950s-era facility on a small site held limited growth options, even after several renovation projects. 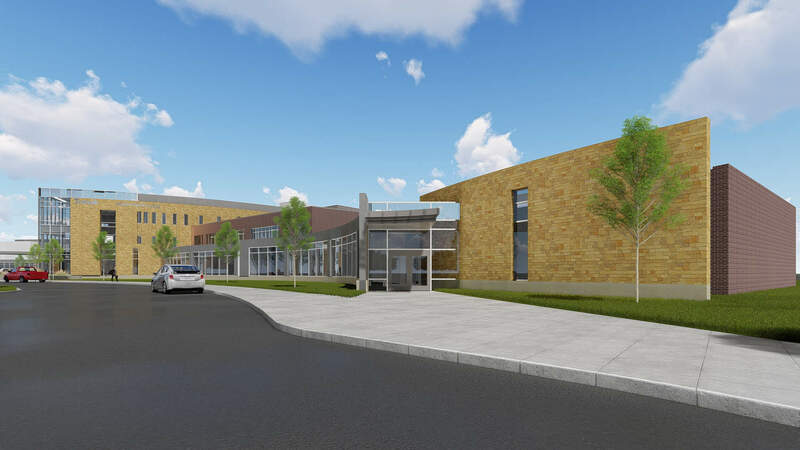 To plan for the future, TMH worked with BWBR to design a master plan that would respond to the region’s growth. 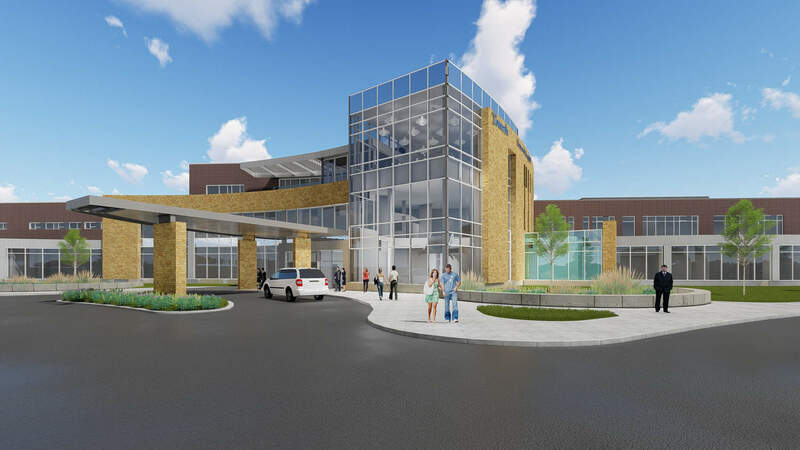 The result of the planning led TMH to pursue a new direction by selecting a greenfield site for a replacement Critical Access Hospital campus focused on health and wellness. 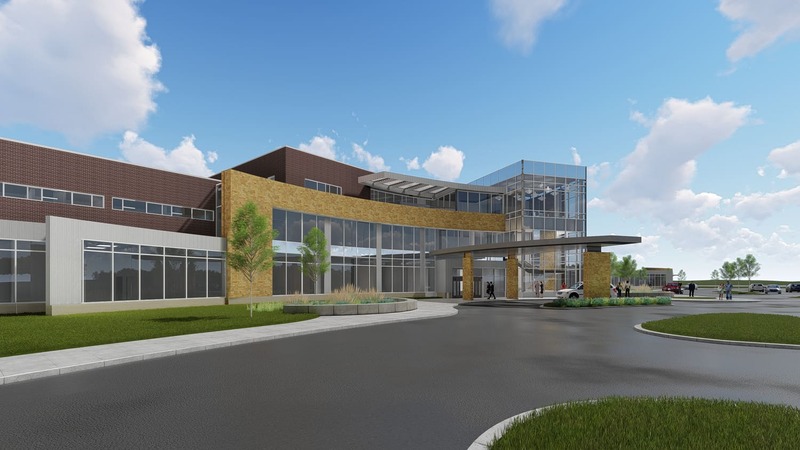 BWBR also assisted TMH in achieving the largest USDA financing amount awarded in the state of Wisconsin to date. 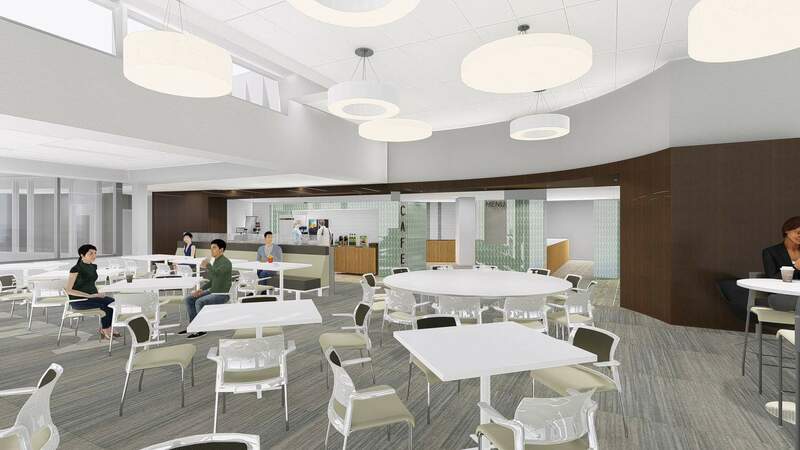 The new 40-acre site just south of town provides room to grow, space for affiliated health care providers and excellent visibility from the nearby freeway. 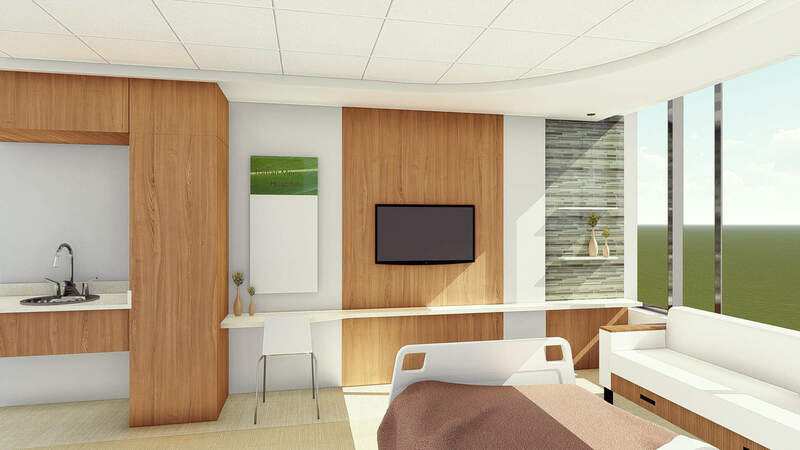 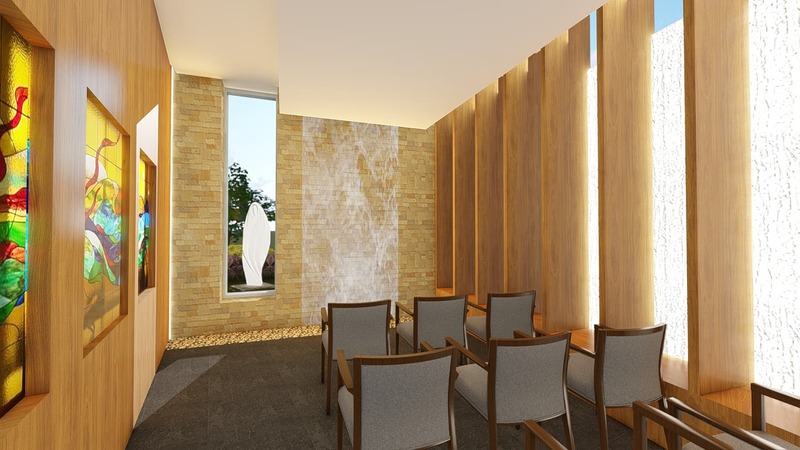 To truly capture the design essence, BWBR led a community visioning event and produced six hospital room mock-ups to immerse staff in their future patient-centered, highly efficient spaces. 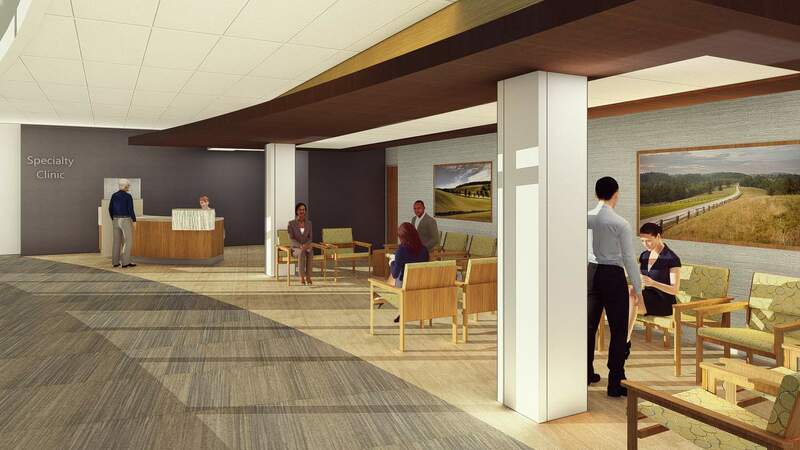 The hospital will welcome both patients and the community. 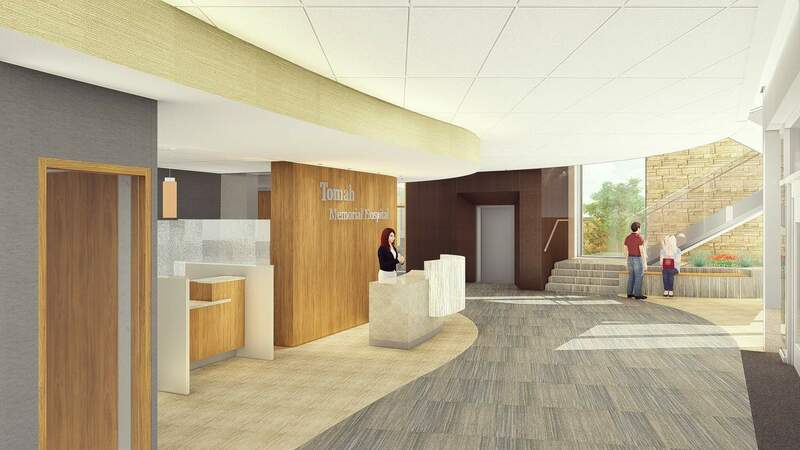 From a glass-walled, two-story entry atrium to an OB suite complete with water birthing tubs, TMH’s new campus will unite patients with the latest in integrated health care.